Guest Post by Betcy Jose-Thota, Assistant Professor, University of Colorado-Denver. If President Sarkozy was not misquoted, his pronouncement contains two misstatements about both the NATO mandate and international humanitarian law. By its plain language, UNSC Resolution 1973 authorizes member states to use force to protect civilians, not civilian forces as Sarkozy states. “Civilians” and “civilian forces” are two distinct concepts as the following discussion (hopefully) illustrates. 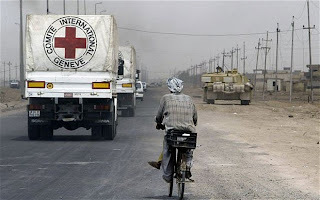 International humanitarian law (IHL), the body of law which regulates armed conflict, obligates belligerents to distinguish between civilians and other belligerents. This is the so-called distinction principle housed within the civilian immunity norm. Once belligerents make this distinction, IHL prohibits them from deliberately targeting civilians. To do so is a war crime. However, it’s not as simple as that. Not all civilians are protected from deliberate attack under IHL. 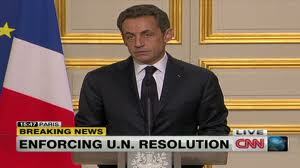 And this is where Sarkozy commits his second misstep. 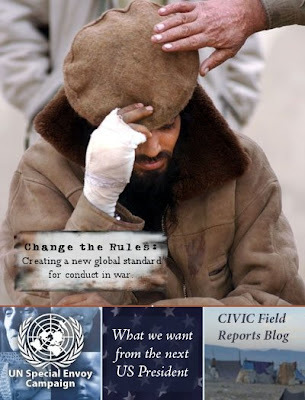 According to the 1977 Additional Protocol I to the Geneva Conventions civilians lose the protections of the civilian immunity norm when “they take a direct part in hostilities.” When civilians directly participate in hostilities, they can be targeted. Deliberately targeting such civilians is not a war crime. So, when is a civilian considered to be directly participating in hostilities? Well, this is a dissertation-worthy question, too complex to be tackled within the confines of a blog post. Suffice it to say that the ICRC offers its explanation for what this phrase means in its Interpretive Guidance for Direct Participation in Hostilities under International Humanitarian Law. Based on this document and past practices, civilians engaging in armed resistance, like those in “civilian forces”, would likely lose their protections under IHL. They would not be the civilians for which UNSC 1973 enables the use of force to protect. So what’s the significance of this legal rambling, you ask. Well, it means that NATO soldiers can use lethal force against civilians who use armed force against them. It also means NATO doesn’t have to put its soldiers in jeopardy to protect civilians who engage in armed force. Sarkozy isn’t the only one who’s misstated IHL. That the lack of clarity is so widespread on this issue of when civilians can or cannot be targeted during armed conflict is precisely the reason why the ICRC had to issue its Interpretive Guidance. It will be interesting to see whether (and if so, how) this confusion may manifest in the ICC’s investigations into possible war crimes in Libya. It is often asked, “How can we win a war against terror? Who would surrender? How can we make war against an emotion (terror) or a guerrilla technique (terrorism), neither of which are enemy states?” These questions assume that victory in war is simply a matter of defeating the enemy. In fact, that may be the criterion for winning in football or chess, but not warfare. Victory in war is a matter of achieving the war aim. The war aim in a war against terror is not territory, or access to resources, or conversion to our political way of life. It is the protection of civilians within the rule of law. But Newsweek’s editors seem to have taken a different message from his argument – that it’s impossible to define victory. Instead of taking seriously the idea of how to measure victory on Bobbitt’s terms, their latest issue features a long, admittedly interesting but ultimately distracting conversation about how ambiguous the concept of “victory” is today. That whole discussion misses Bobbitt’s point, I think. Victory on conventional terms is no longer possible in asymmetric wars. Instead of belaboring that, let’s redefine our terms and create some valid metrics to go with them. More ruminations on that score at Current Intelligence. A DC-based NGO is promulgating a novel idea: that states should compensate civilians that they legally harm during combat operations. The Campaign for Innocent Victims in Conflict(CIVIC) has launched a “You Harm You Help” campaign. Having succeeded in convincing the US Government to create a trust fund for victims of collateral damage in Afghanistan and Iraq, the organization is now trying to figure out how to turn this practice into a global norm. The idea is important because the existing laws of war don’t require governments to compensate war victims.Governments are often required to pay reparations for war crimes, but hitting civilians by accident is perfectly lawful. And a right to humanitarian assistance is widely recognized for all civilians, but the architecture for it constitutes little more than organized charity. CIVIC wants to make compensation for deaths and maimings an obligation of warring governments, rather than a charity act by random donors and NGOs. And because the focus is on the outcome not the intention, CIVIC argues states should pay up whether they mean to hit civilians or not. “In the past century, we’ve seen marked improvements in how we treat each other. Nations have made legally binding commitments to respect women’s and children’s rights, to abolish torture, and protect free expression. Through the Geneva Conventions and treaties banning weapons like landmines, nations have also promised to protect civilians when they go to war. But no treaty, custom or norm requires nations to help those they fail to protect. No matter how many civilians are killed in a war, no matter how many are left homeless, no matter how much property is destroyed, those who do the damage have no legal duty to help. I see CIVIC as a fascinating example of norm entrepreneurship. Fascinating in particular for my new book on advocacy campaigns because CIVIC hasn’t got very far yet, unlike most of the norm entrepreneurs identified in the advocacy networks literature who got attention because their campaigns succeeded. What remains to be seen is whether CIVIC will become a failed campaign – whether its issue will fizzle, die or end up coopted by others’ issue agendas, or whether we are witnessing the first stages in a future global norm. Stay tuned.